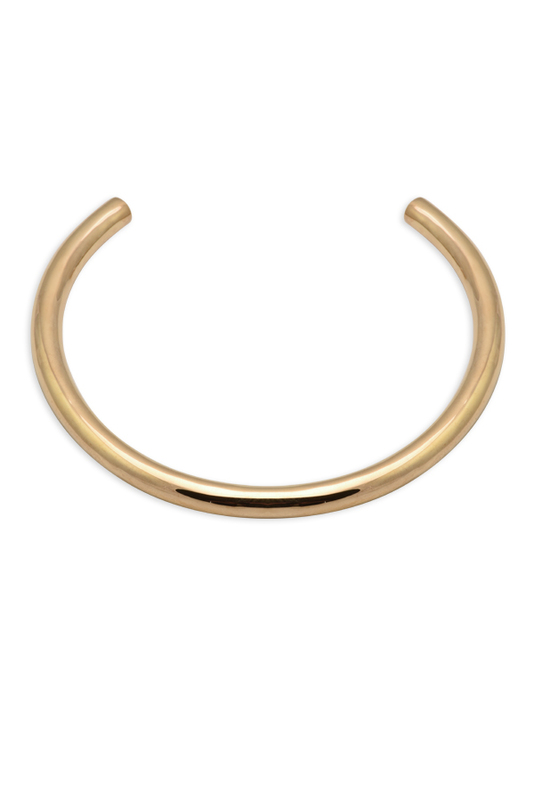 Brass Plated 14k yellow gold smooth choker. Length: 13". Interior circumference: 14".